There are few people in the food world as prolific as American chef, restaurateur, and cookbook writer, Thomas Keller. Thomas Keller and his landmark Napa Valley restaurant, The French Laundry in Yountville, have won multiple awards from the James Beard Foundation, notably the Best California Chef in 1996, and the Best Chef in America in 1997. The restaurant is a perennial winner in the annual Restaurant Magazine list of the Top 50 Restaurants of the World. 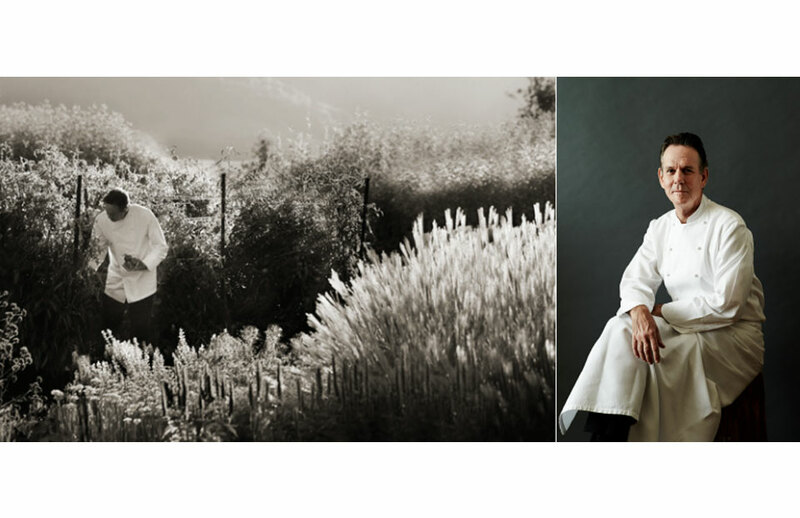 In 2005, he was awarded the three star rating in the inaugural Michelin Guide for New York for his restaurant Per Se, and in 2006, he was awarded three stars in the inaugural Michelin Guide to the Bay Area for The French Laundry. He is the only American chef to have been awarded simultaneous three star Michelin ratings for two different restaurants. He currently holds 7 Michelin stars total: 3 at Per Se, 3 at The French Laundry, and 1 at Bouchon. Let us introduce you to the three Yountville jewels of his restaurant empire. 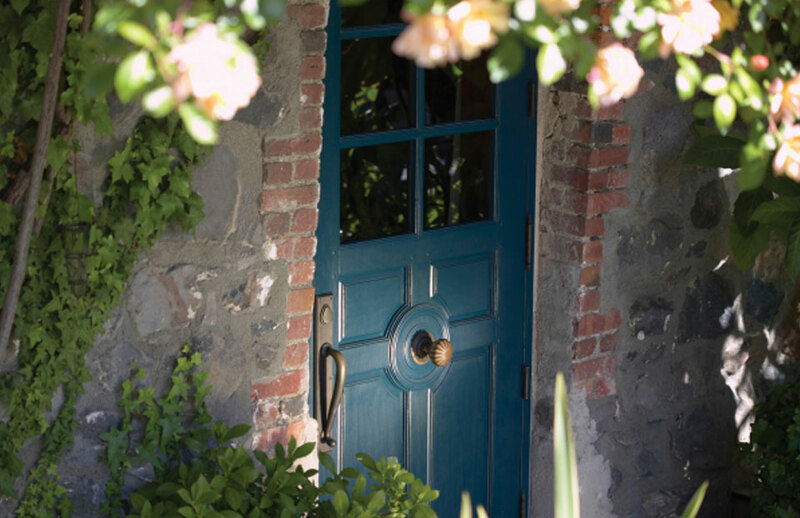 Chef Thomas Keller visited Yountville in the early 1990s to find a space to fulfill a longtime culinary dream: to establish a destination for fine French cuisine in the Napa Valley. In his travels, he came across a rustic two-story stone cottage. As he walked into the restaurant's quaint courtyard, he knew it was where he had been headed throughout his career. the-french-laundry-yountville Thomas KellerThe French Laundry has received numerous honors and accolades. Most recently, the Michelin Guide San Francisco awarded The French Laundry their highest rating of three stars for the sixth year in a row, making Thomas Keller the only American-born chef to have two three-starred Michelin restaurants. Through The French Laundry's menu, which changes daily, the restaurant commits itself to creating classic French cuisine with the finest quality ingredients, along with a similarly intense focus on impeccable guest service. Enjoy a multi-course meal, fixed price along with outstanding service (as you might expect). The wine list is extensive and there is a corkage fee provided the wine you bring is not on the wine list). Prepare to be there at least 2 hours or more. You must leave room for dessert. Portions are small but outstandingly prepared and presented. In October 1998, four years after his successful debut in Napa Valley with The French Laundry, Chef introduced Bouchon, offering authentic French bistro fare with Keller's unfailing attention to detail in both ingredients and presentation. 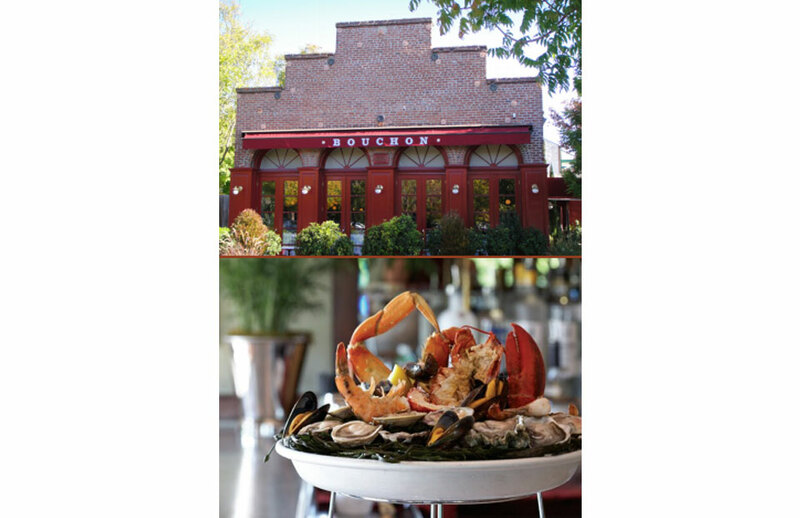 Bouchon's seasonal menu and raw bar selections change throughout the year, while staples like roast chicken, leg of lamb, and trout amandine remain as bouchon-bistro-yountville Thomas Kellerconsistent, year-round favorites. The Vin en Carafe program at Bouchon features selections made exclusively for the restaurant from top wineries in Napa Valley and France. The restaurant is located just steps from The French Laundry. Thomas Keller created Bouchon's interior featuring a French zinc bar, a vibrant mosaic floor, antique light fixtures, and an expansive mural. Guests may also dine outdoors on Bouchon's patio, while enjoying a picturesque view of Yountville. Can't miss menu items for the fall include heirloom tomato salad and escargot with pastry puff "hats," gnocchi that's gently toasted topped with a poached egg and you are in heaven. Don't skip dessert, as if ice cream filled profiteroles aren't enough they're finished by pouring thick hot chocolate sauce over the top. In September 2006, Chef Keller opened the doors to Ad Hoc, his casual dining venue for showcasing the American comfort food of his childhood. 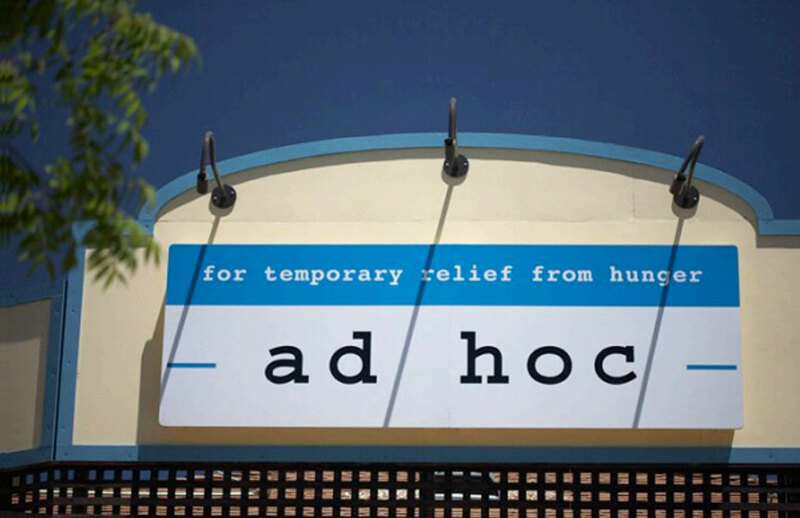 The name Ad Hoc, literally meaning "for this purpose," derives from the restaurant's original purpose: to temporarily fill a space while Chef Keller's team developed a different restaurant concept. Yet from the first, Ad Hoc was loved by both Napa ad-hoc-yountville-Thomas KellerValley locals and visitors to the wine country alike, and so this "temporary" restaurant has now joined Chef Keller's three other Yountville, CA properties as a permanent fixture of Washington Street. The daily changing four-course menu, featuring classic American dishes like fried chicken, pot roast and BBQ, is handwritten nightly on chalkboards throughout the restaurant. All courses are served family style to increase both the conviviality of the Ad Hoc experience and to further recreate the casual comfort of home. Everyday there is a set menu and it's available online for those who like to know what they are committing to before coming in. The meal is complete with starter salad, main course with sides, after dinner cheese plate, and dessert. Everything is served family style. Since its opening, Ad Hoc has received a three-star rating from The San Francisco Chronicle and was featured as one of Food and Wine magazine's "25 Places to Try."